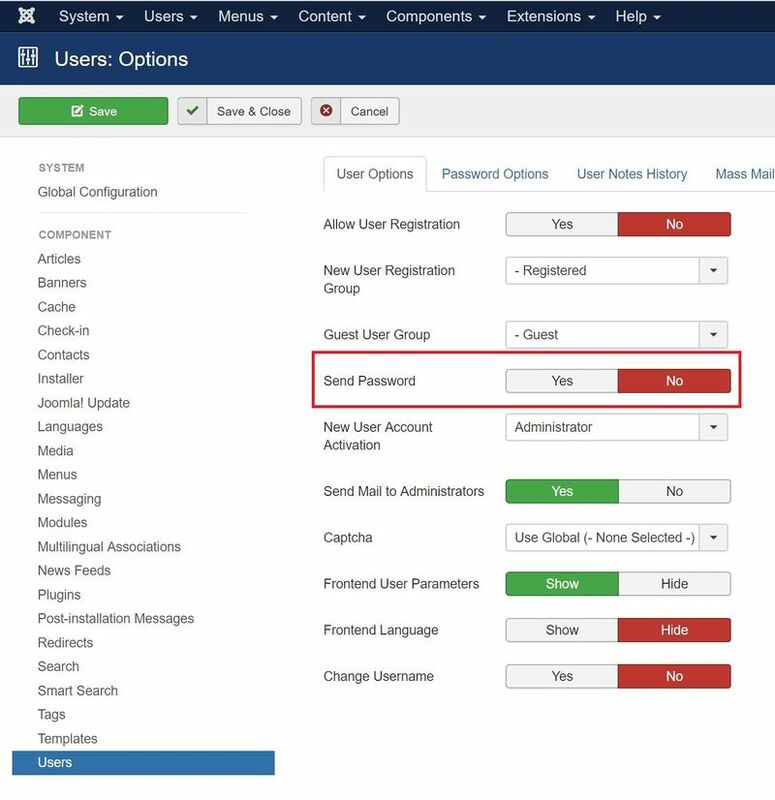 As of Joomla 3.8.8, the default text filtering settings will no longer allow the default Administrator user group to enter unfiltered content. 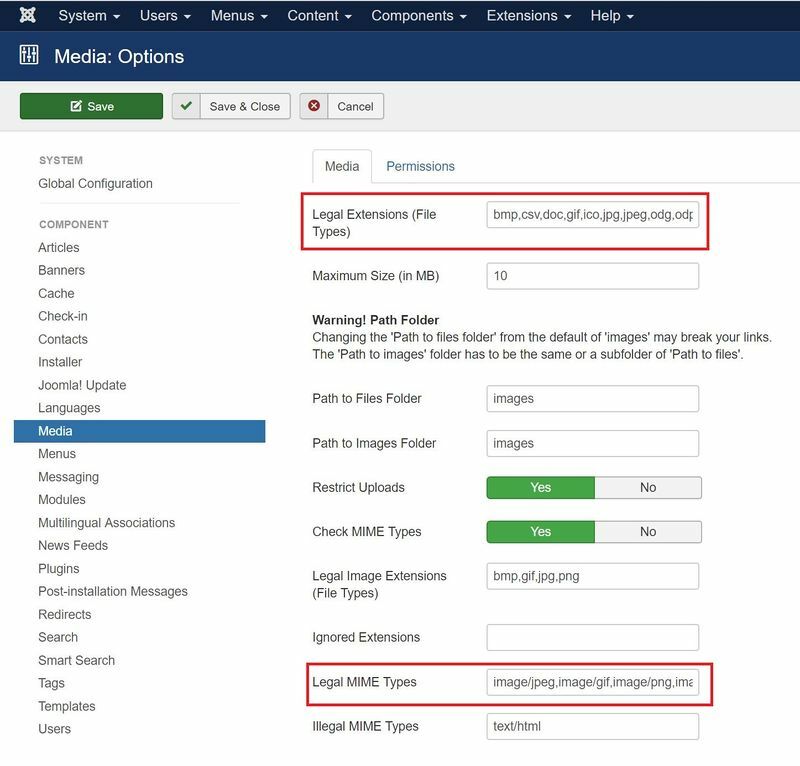 We encourage site owners to review their text filtering configuration and apply the same change to future enhance your site security. You can find the current text filter settings in the Administrator area. It is recommended that you change Text Filter Settings → Administrator Filter Group from No Filtering to Default Blacklist. We recommend you to check the allowed list of upload file extensions as well as the allowed upload MIME types. As of Joomla 3.7.3, we have changed the allowed upload extensions and MIME types. Flash files are no longer allowed as uploading Flash files without proper review can have several security concerns. It is recommended to block Flash files to be uploaded through Joomla. Legal Extensions (File Types): "swf"
Together with the changes mentioned above, we are also going to disable the Mail to Friend feature by default for new installs. 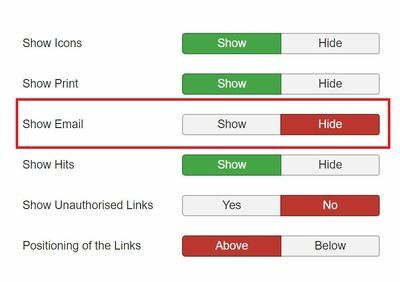 We recommend to check if you are still requiring this feature on your sites. In the article and in the menu item you can find it in the "Options"-tab. You can also find it in the Global Configuration from the Articles component. This page was last modified on 29 October 2018, at 04:28.